Meet PIPER. Cute little purple haired girl. She has a cute little skirt, shirt and shoes. She is looking for a great home with someone to play with. She is 16 inches tall. Isn’t she just so sweet? She is waiting to be loved and played with. She will bring much joy and happiness to any home. Piper comes with removable skirt, shirt and shoes. 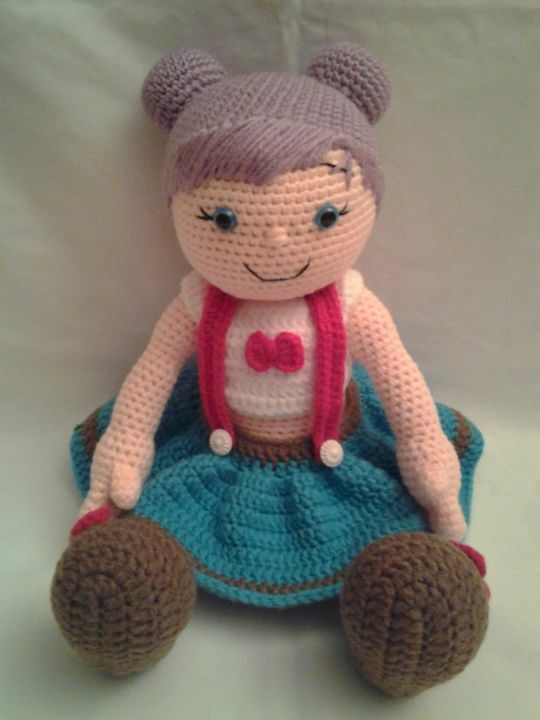 She’ll make a great gift for child, teen or adult. I must provide credit to the Pattern Creator: Havva Unlu. She has amazing doll patterns that inspired me to try my talents at making Dolls.